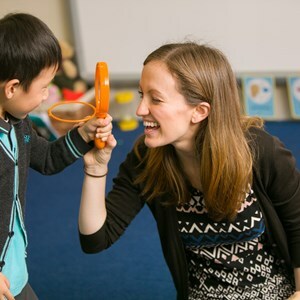 Meet Lynne Abraham, one of the wonderful Early Years Foundation Stage teachers at the British School of Guangzhou. Her love of children and effervescent personality boosts her students and their healthy love of learning. 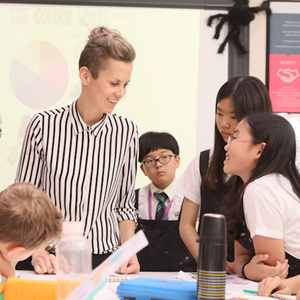 We sat down with Lynne for a quick interview about her experiences as an expat teacher living in Guangzhou. 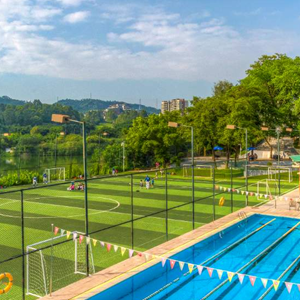 What was your first reaction when you first arrived to Guangzhou? I thought Guangzhou was very busy with lots of people bustling around. My expectations before I arrived were very different to what things are actually like; I was pleasantly surprised. The skyline is beautiful and the city is modern. My hair had the biggest reaction when to Guangzhou… it gets very humid here! Definitely watching the children grow and learn new things. Being able to play a part in their growth and learning definitely makes it all worthwhile. At the beginning of the year EYFS students come with very little English and then by the end of the year they are able to converse with one another. The workload can be great and it can be challenging finding a way to differentiate lessons to meet all of your learners needs. BSG is a much bigger school than the other schools that I have taught at. The resources here are amazing! 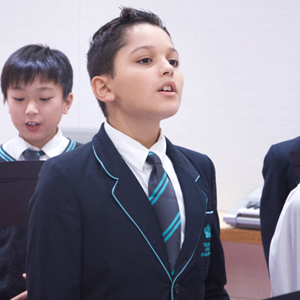 There are more opportunities, with the specialist teachers available, to allow you to do much more with your lessons. Everyone is so friendly and supportive which makes coming to work so fun and enjoyable. Recommend the best place for people to visit in your city. I would definitely recommend Zhujiang New Town, as it is quiet with a touch of the western lifestyle. The shopping is also really good here, so I would definitely recommend a trip to the leather and western market. The markets and wholesale shops in Guangzhou are a great cultural experience. Your one advice for people moving/living abroad. You have got to have an open mind and be prepared for things to be different. You will certainly enjoy your time here if you accept and embrace the cultural differences. I have to say for the cliché reason that I absolutely love working with children. Being able to watch children develop, grow and at the same time learn from them too, definitely helped to influence my decision to become a teacher. Your favourite quote when it comes to education. What does it mean to YOU to be a teacher? I get a huge sense of pride having the responsibility to be apart of a child’s education. I don’t really get homesick, as I know my friends and family are only a Skype call away. I have made some amazing friends here, so if I ever do get homesick, we stay in nice hotels in Guangzhou or go to Hong Kong for the weekend.